TV 2 is Norway's leading commercial television channel, launched in 1992 after obtaining a government license. This month it has revealed a revised version of its logo. When TV 2 was launched it had two versions of its logo, one where the numeral had a solid 3D appearance and a simplified flat print version. Both were designed by Scandinavian Design Group. Several years later, the 3D version would be dropped in favour of the print version. The new one is a essentially a refined version of its predecessor. The integrity of the numeral hasn't changed, although thinner lines that mark its outline have been removed. The colours also remain, but have been changed to new nuances. Scandinavian Design Group were reportedly also behind this version, although Red Bee Media in London had some sort of input. FSE Energy is an American company that manufactures equipment to extract biomass fuel. Until December last year it was known as Factory Sales & Engineering, Inc. when it was rebranded and adopted a new corporate identity, created by MetaDesign in San Francisco. The previous name and the humdrum logo that accompanied it conveyed an image of a small family-owned company. The new identity is more on par with FSE's competitors. The icon is "a contemporary abstraction of flame", depicting "the transfer of biomass to fuel through fire". Launched in 2005, the confusingly named Logo is an American cable network tailored to an LGBT audience with programs about everything from adoption to drag queens. It is owned by Viacom and is probably the first such network to be launched by a mainstream broadcaster. This month Logo itself has quietly rolled out a new logo. The previous logo had been used in various forms since the network's launch. Originally it came in many colors, but lately it has usually been black of white. The Air France Group owns three regional airlines – Brit Air, Regional and Airlinair – that are about to be united under one banner to communicate a clearer offer. As revealed yesterday, January 28, the combined airline will be named Hop!. It will commence operations on March 31 with 530 flights per day using 98 aircraft. The new brand was developed by Brandimage, who have been Air France's partner for several years. The name should evoke speed, ease and agility. The logo is a simple red wordmark with a slanted exclamation mark. The latter is said symbolise and aircraft taking off, but it also evokes a sense of metaphorical takeoffs. It will also be part of the tailfin decoration. There's also a prominent "by Air France" alongside the fuselage that endorses the brand. Denmark's largest sports channel, TV 2 Sport, was a joint-venture between two of the country's leading broadcasters, TV 2 and MTG, until late last year when TV 2 exited the company. As a result, the channel was renamed TV3 Sport 1 on January 7, linking it to MTG's other channels in Denmark. There seems to be a company policy within MTG that logos have to be shiny spheres or circles, and this one follows that pattern. 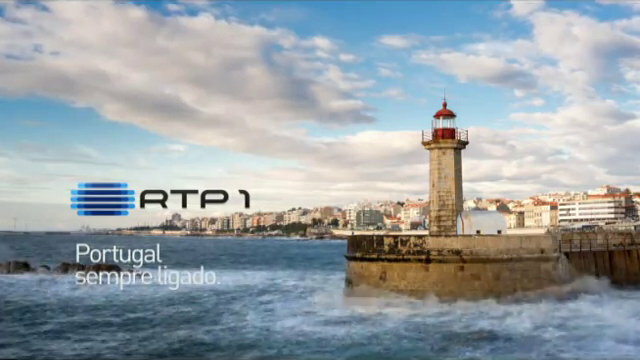 RTP1 is the primary channel of Portugal's state broadcaster and the oldest TV channel in the country. It rates as the third most watched network in Portugal, behind commercial rivals SIC and TVI. This month, it launched a new on-screen look along with the slogan Portugal sempre ligado (meaning something like "Portugal always connected"). Graphics are employing a full spectrum of bright colours and effective "folding" animations. The current RTP1 logo was introduced in 2004 as part of a company-wide identity programme and remains unchanged. Earlier this month, the American cable channel VH1 launched a new visual identity, including its first logo change in almost ten years. It was covered here at the time. The new look was created by New York design firm Gretel, who published their case study, a video montage and a few more images last week. Allinson is a British brand of flour, owned by the Silver Spoon Company, which in turn is a part of Associated British Foods. This month, a new package design for Allinson Flour was unveiled, created by package design agency Family (and Friends). The agency were appointed for its work with Allinson Bread in 2011. Allinson Bread and Allinsons Flour are owned by different companies within the same corporation and have until now been independently branded. This exercise brigs them closer by giving the flour range the same signature wordmark as the bread range, as well as a very similar windmill icon. The packaging still differs from the bread range, adopting different simple patterns that livens up the flour sacks. The previous packaging was introduced in 2007 and designed by Ziggurat Brands. It aimed to rejuvenate the flour sector by putting emphasis on the craft of baking and the brand's heritage. State Fair is a brand for ready-made corn dogs, a very American snack made from a hot dog wrapped in a deep fried cornmeal coating, typically served on a stick. Recently, the brand got a refreshed look, created by PKG in Chicago. The primary aim was make it easier to navigate between flavours and to evolve the packaging by showcasing its "playfulness". As part of this, just about every aspect of the packaging has been refined and made more contemporary, but the brand hasn't changed direction. The various shadings in the logo have been refined, although the typography is left unchanged. Klépierre is a French company that invests in commercial real estate, including shopping centres and office space. Yesterday, January 24, it announced a new corporate identity, created with Interbrand Paris. The exercise brings all fully owned companies in the concern under the Klépierre name, most notably the shopping centre division that until now has been known as Ségécé. The new icon is a "highly architectural" K.
December 12, 2012 saw the launch of six new national television channels in France that had been licensed earlier that year. 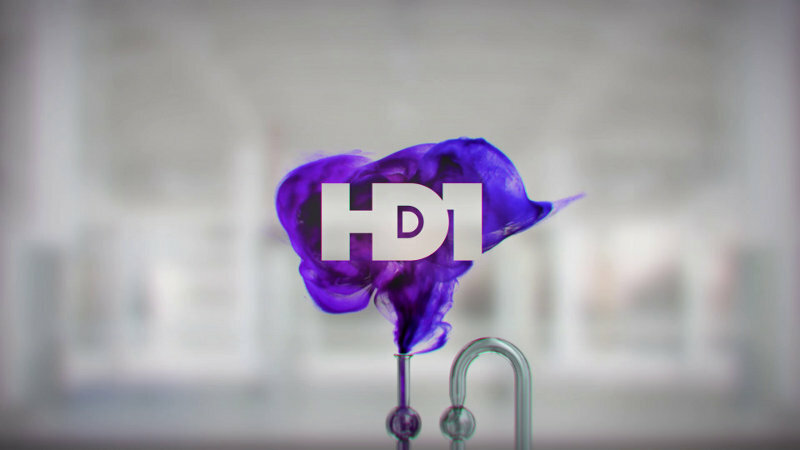 On of the more high-profile channels were HD1, a new channel dedicated to series and movies launched by TF1, the leading commercial broadcaster. The visual identity was devised by broadcast design agency Dream On. Overall, the on-air look has a cinematic premium feel. It is said to be designed as a series of stories, aiming to "give the brand a cinematic dimension and a promise of a great show". The break bumpers show blurred backgrounds where different objects appear to revealed the logo. Dream On worked with a visual effects studio called Microbe Studio in creating the break bumpers. The Billboard brand is known around the world for its many music-related charts that are seen as the ultimate measure of success in the music business. The number of people who read the actual magazine behind the brand is probably a fraction of that, but this week it is launching a new look, created by Michael Bierut of Pentagram in New York, working with Billboard's own designers. Since the issue of July 16, 1966, Billboard's masthead has featured a Bauhaus-inspired wordmark where four of the counters have been filled with different colors. It was given a small update in 1984 and has since remained unchanged. It is now replaced by a thicker all lower-case wordmark that exploits the geometric nature of the name. On magazine covers, it is now presented in one color without filled counters, while the colored dots will remain in marketing and for digital platforms. The entire magazine has been redesigned to be more relevant in today's music industry. This includes the charts, which are now easier to read. Poczta Polska is the postal service in Poland, founded way back in 1558. Yesterday, January 22, it unveiled a new corporate identity as part of a modernisation process. Until now, the Polish postal service has used a traditional post horn as part of an outdated and inconsistent visual identity. It has been replaced by a a new symbol that is an abstraction of the old post horn, and the colours have switched to red and yellow. BRF Brasil Foods is a Brazilian food company that owns several classic food brands in Brasil. Last week, on January 16, it launched a new corporate identity that drops the tagline "Brasil Foods" from the name. The new symbol is a colourful pattern that expresses of the company's positioning and values of leadership and cultivation of bonds and dialogues. Mahindra is a large Indian industrial conglomerate that manufactures, among other things, cars, engines, generators and tractors. This month, it has introduced a new corporate identity, reportedly created with Landor Associates. The new red wordmark was designed to be edgy, modern and futuristic. Meo is a brand used for digital television, broadband and landline telephony – collectively known as triple-play – from Portugal Telecom, the incumbent telco in Portugal. This month, on January 11, the brand launched a new corporate identity as it added mobile telephony to its offers. Portuguese brand consultancy Mybrand is behind the new look. The brand aims to be "disruptive", challenging consumers to try new things. The abstract letters in the new logo are also icons, representing community (M), communication (E) and the world (O). Coface, an abbreviation of Compagnie Française d'Assurance pour le Commerce Extérieur, is a leading capital insurance company, head-quartered in France. Yesterday, January 21, it unveiled a new corporate identity and a new tagline, "for safer trade". The visual identity was developed by W&Cie. A new symbol has been created from the first two letters in the company name, a C and a truncated O. It expresses both the relationship between Coface and its clients as well as an infinity symbol. Food Network, the first network solely dedicated to food, launched a new look this month, on Sunday January 6. The agency behind this rebrand was Troika who did everything from strategy, to logo design, to graphics package. The plate-shaped logo has received a minor update with more contemporary typefaces and a "sense of dimension". The last Food Network logo was introduced almost exactly ten years earlier, on January 1, 2003. Programming on the Food Network is very much driven by celebrities the network itself has created, and they are the focal point of the new look along with food-related environments and textures. This is summed up in the creative concept, dubbed "Characters and Stories". Visually, the graphics are built on modules with different textures, colors and imagery relating to different genres of specific programs. Solvay is a Belgian chemical company with a long history going back to 1863. For most of that history, its company symbol has been an S with an arrow, but that long legacy ended on January 17, when a new corporate identity was revealed as part of an overhaul of the company's organisation. In place of the ancient symbol comes a swirling S, that is said to be and expression of Solvay's ambitions. It was created by Paris based design agency Vincenti Design. A bit late, but here's the fourth instalment of our "TV logo round-up" that tracks logo changes in television in the second half of 2012. As usual, if you think there's anything significant missing, feel free to post a comment below. This morning, local time, American Airlines, one of the largest airlines in the United States, and the world, unveiled a new livery and corporate identity. The new identity was designed by FutureBrand and is part of an ongoing effort to modernise the airline. It preserves the colours of the American flag, but replaces the polished metal from the previous livery with silver paint. In 2011, the airline ordered a large amount of new aircraft, made from composite materials that meant the polished metal look had to be abandoned. American Airlines has also been given a new icon that embodies its name, called the "flight symbol". As previous symbols, it includes a soaring eagle, but the new one also has a star and a stylised letter A. The tailfin features and interpretation of the American flag. From the standpoint of graphic design history, this marks the end of one of the final great corporate identities from the 1960s. Designed by Massimo Vignelli and featuring a Helvetica wordmark and polished "silver bird" livery, this corporate identity had remained essentially unchanged since its introduction in 1968, more than four decades ago. The Eurovision Song Contest, an annual televised singing competition with competitors from most European countries, was last year won by Sweden. As a result, this year's contest will be held in Malmö, a city in southern Sweden with about 300,000 inhabitants. Each contest has its own look and feel, and the visual identity – or theme art as the contest calls it – was unveiled today. It was developed by Happy F&B, a design agency in Gothenburg, Sweden. The concept is called "the Butterfly Effect" – inspired by the idea that the flap of a butterfly can cause a hurricane on the other side of the planet – and has a colourful butterfly symbol at the heart of the identity. According to press reports, the symbol is about "togetherness, diversity and happiness". The two former values are expressed through the slogan "We Are One". CGI is a Canadian company that provides information technology services. Last year it bought UK-based consultancy Logica and gained a foothold in Europe. This week, on January 14, the company unveiled a new unified corporate identity that sees the Logica brand being confined to history. The logo is simply the three initials set in what looks like Gill Sans. It lives in a fresh and clean graphical environment of the the kind we expect from IT consulancies. Isala is a group of hospitals in Zwolle in the Netherlands. Last week, it unveiled a new corporate identity, created by Dutch design agency Teldesign. According to a press release, the new logo reflects the groups mission and values better. It should communicate "no-nonsense, reliability and motion". Capital Shopping Centres is UK real estate company that operates fifteen shopping centres around the UK. Yesterday, January 15, it was announced that the company would change its name to "Intu", creating a new national brand. The shopping centres, that until now have been branded independently, will also be taking the Intu name in May. The new visual identity was also unveiled yesterday. It features a bird icon in the new orange and black signature colours. Landor Associates were reportedly involved in this project. Nivea is a leading global brand for skin care, founded 102 years ago and belonging to the German Beiersdorf concern. Yesterday, January 15, Beiersdorf announced the launch of a new global design for its flagship brand. At the heart of the redesign is Nivea's circular logo, inspired by the iconic blue tin for facial cream. While not a completely new design, this endeavour will see it applied more consistently. Until now, Nivea has had a somewhat inconsistent visual identity, where the Nivea wordmark has been placed on a series of different blue background plates. The new look was developed by industrial designer Yves Béhar of Fuseproject in San Francisco with Beiersdorf's in-house team. A bit belated, but here's the logo round-up for December 2012. This was a month that saw a new visual identity for Weight Watchers, Comcast claiming NBC's peacock as its own, a colourful kangaroo for Australia and about three dozen other notable brand identity design projects from around the world. In addition its primary channel, ITV also has four additional "digital" channels, launched several years ago. They are called ITV2, ITV3, ITV4 and CITV and cater to different audiences. These channels also launched new look this morning. Unlike ITV, which has a logo that constantly changes colour, the digital channels each have a defined signature colour. All idents and information specific to each channel can be found below. This morning saw the launch of a rebrand for Britain's most watched commercial broadcaster, ITV. The new logo, unveiled back in November, was implemented simultaneously across all assets, including the main ITV network (previously known as ITV1), the four additional channels, the regional news stations and the production and distribution business ITV Studios. 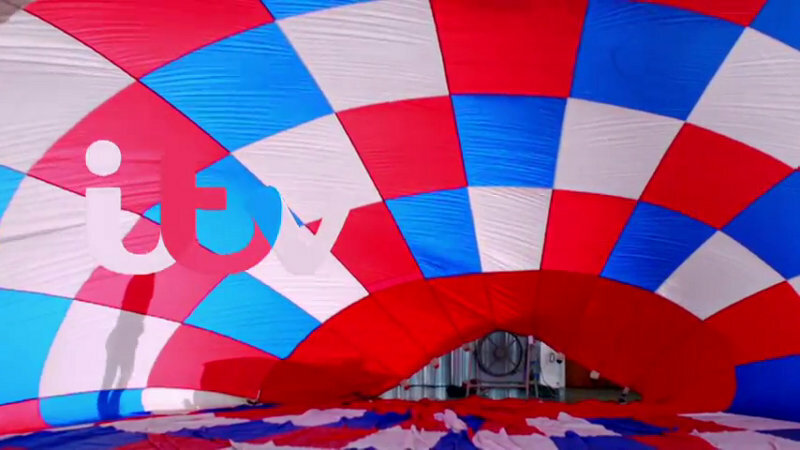 The rebrand was directed by the in-house bureau ITV Creative. The logo was developed by ITV with designer Matt Rudd and type foundry Fontsmith. 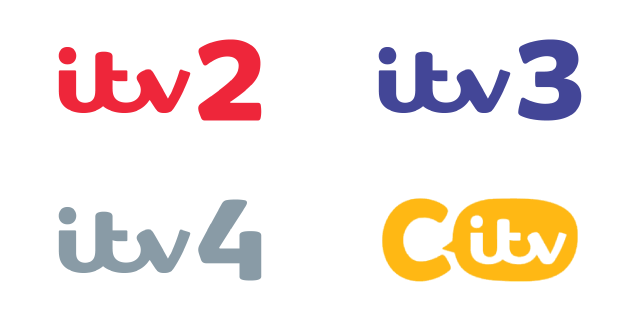 The latter also developed a new typeface family, called ITV Reem. The ITV network now has a broad set of idents with snippets of footage that "captures moments from everyday life across the UK, featuring real people and real scenes". The logo blends with the background by picking the colours behind it. The Moscow Exchange was formed in late 2011 when Moscow's two major stock exchanges, MICEX and MTS, were merged. The new company was left without a proper corporate identity for about a year until a new logo was unveiled on December 18. The new name, Moscow Exchange (or Московская Биржа in Russian), had been known for a few months by then. The new icon is inspired by two mathematical symbols, the natural join symbol (⋈) and infinity (∞). This is placed on a red square, which is taken from the English name for the central square in Moscow. Figaro is a leading brand of chocolate in the Czech Republic and Slovakia. Tracing its history back to a factory founded in the 19th century, the brand was bought by Kraft General Foods in 1993 and is now a part of Mondelez. This past autumn the brand received new packaging for its primary product line that also featured a refreshed logo. The packaging is now dominated by a red signal colour, with coloured ribbons to help the consumer separate different flavours. DeNA is a Japanese company that developes mobile portals and online shopping services, which describes itself as "the global leader in mobile Internet services". Today, January 10, it launched a new corporate identity. The logo is an expression of the new tagline "Delight and Impact the World", where the D has been turned into an emoticon, representing delight. The exercise also sees some of the company's global subsidiaries being rebranded with the corporate name. Update January 10: Wolff Olins recently announced that they created the new brand identity together with Japanese branding agency Hakuhodo. Tostitos a major American brand of tortilla chips, owned by Frito-Lay, a division of PepsiCo. Late last autumn it started rolling out a refreshed visual identity with new packaging. Overall, the packaging is cleaner. The rough surfaces of some earlier packaging are being replaced by graphical sunbeams in clear colors radiating from a product window as the center of the bag. The logo has also be straightened up and simplified. The new look is being launched with some new products, such as the "Tostitos Cantina" chips, inspired by Mexican restaurants. On January 1, the operations of Australia's two premium movie channel packages - Showtime and Movie Network - were winded down and replaced by one common brand, Foxtel Movies. This was because Australia's largest pay TV distributor wanted to take its premium channels in-house and buy movies directly from the content providers. Previously, Foxtel only owned half of Showtime Australia, while the rest of that service and all of Movie Network was owned by consortia of movie studios. The main logo is a straight-forward Gotham wordmark with a leaning M that is also used separately as an icon. Logos for individual channels consists of the leaning M and the channel name. Back in December, we were reached by the news that US-Hispanic broadcast TV network Telefutura would be renamed UniMás. The new name and brand identity launched yesterday, January 7, which gave us and the viewers the opportunity to see how it would work on screen. Los Angeles broadcast design agency Troika worked with many aspects of the brand launch, including logo design, graphics package and a marketing campaign (although the name was selected internally). 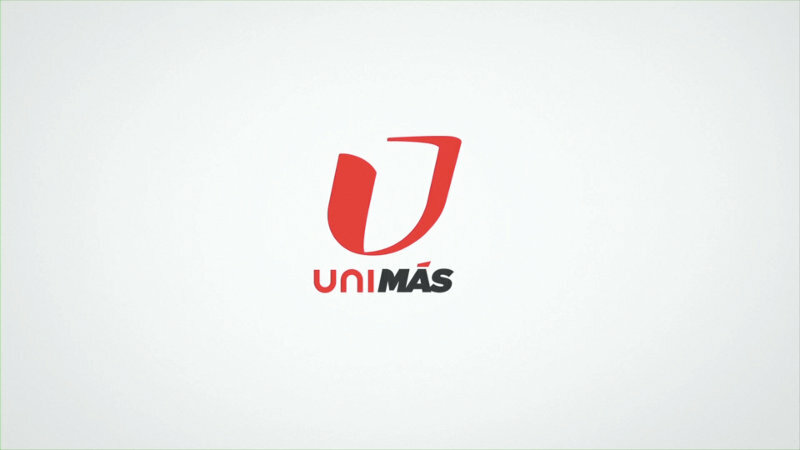 The logo is a "youthful twist" on Univision's abstract U symbol. In the divided wordmark, the "Uni" part links back to the parent company, while the bolder "Más" reflects the "always more" attitude of the desired audience of Millennials. All graphical elements feature forward-leaning angle as the logo, including the typeface. Motion graphics seem to constantly move forward on screen. Most readers are probably familiar with the American cable network VH1. Originally a music video network for somewhat older viewers, it has over time shifted its focus to reality programming. Over the weekend, it adopted a new look with a new logo that had been previewed in the past few days. VH1's new logo has a plus sign embedded in the H. This expresses VH1's new brand statement, "The Ultimate Mash Up". For example, a video says VH1 is a mash up of music + pop culture + nostalgia. 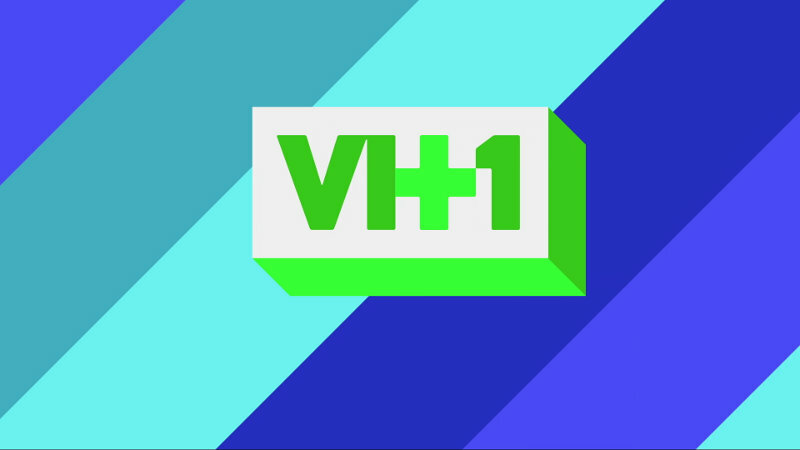 VH1's new signature color appears to be purple, but other complementary colors are also used. The Japan Exchange Group, or JPX for short, is a company formed on January 1 through the merger of the Tokyo Stock Exchange and the Osaka Securities Exchange. The new logo was revealed last week. The logo features four bars representing four values in the company's creed. It also expresses "aspirations toward dynamic and international growth" and an "ambition to become Asia's No. 1 market". Smíchov is a new Czech television channel dedicated to comedy, with sitcoms, movies and some animation. It was launched by TV Nova, one of the largest TV companies in the country, on December 23 by Nova. As I've understood its, the name is some sort of pun on the word laughter. Channel graphics are using a full range of bright colours, which is also reflected the logo which is using a stenciled typeface. A colourful pattern with shapes similar to the letterforms in the logo can be seen as a drape or flag in idents. Yaroslavl is a Russian city with about half a million inhabitants located northeast of Moscow. Founded about 1000 years ago, its centre is now a World Heritage Site. Last month, on December 26, a new symbol was unveiled that will be used by the city in its communication, created by Art. Lebedev Studio. The symbol takes inspiration from the fact that Yaroslavl is lovated at the confluence of two rivers, the Volga and the Kotorosl. It is also a stylised version of the letter Я, which is the first letter in Yaroslavl, and - of course - an arrow. On January 1, Ireland took over the rolling Presidency of the Council of the European Union, commonly referred to as the EU presidency. As is the custom, Ireland has commissioned a logo that will be used during the presidency. The logo was selected through a public poll launched way back in November 2011. Irish design agency Red Dog had created four suggestions, all featuring distinct symbols in the same green-blue colour scheme. Red Dog was also behind the logo for Ireland's last term as the EU president in 2004. The winner was announced in February 2012 and is called "spirals". It features four interlocked spiral e's in a shape that reminds one of Celtic art. It should represent the rolling nature of the EU presidency and Ireland's four decades as an EU member.